We are a 12 year old professional photography services company, expertise in creative pre-wedding photography, candid photography and cinematography. we have a huge experience to shoot more then 400 weddings and pre-wedding . We are a couple from two different states. We had planned our shopping in Jaipur along with family. 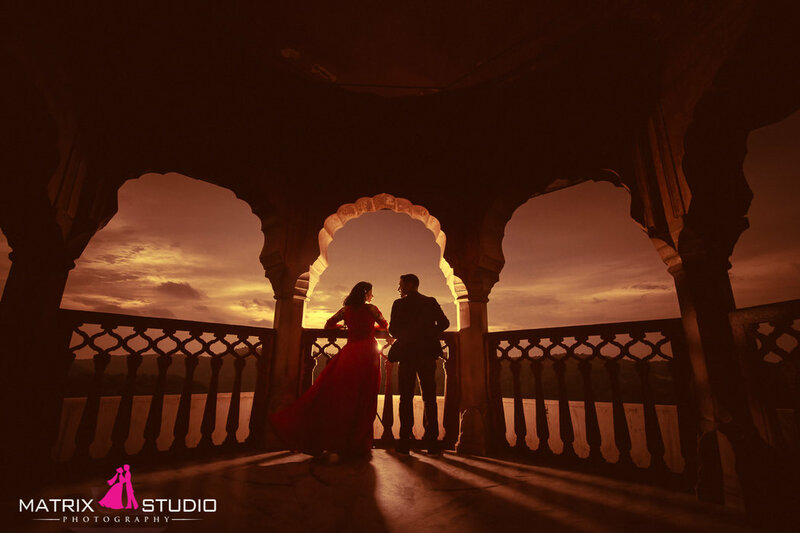 Considering the rich cultural heritage of Jaipur and our time constraints, we decided to have our pre-wedding shoot in Jaipur itself. After doing some online research we selected Matrix Studio based on their online reviews. It was a wonderful experience to shoot with them. The team was very cooperative and open to suggestions. They took us to good locations and helped us in capturing some of the most memorable moments. Your message was successfully sent to Matrix Studio. The Photographer may contact you soon.